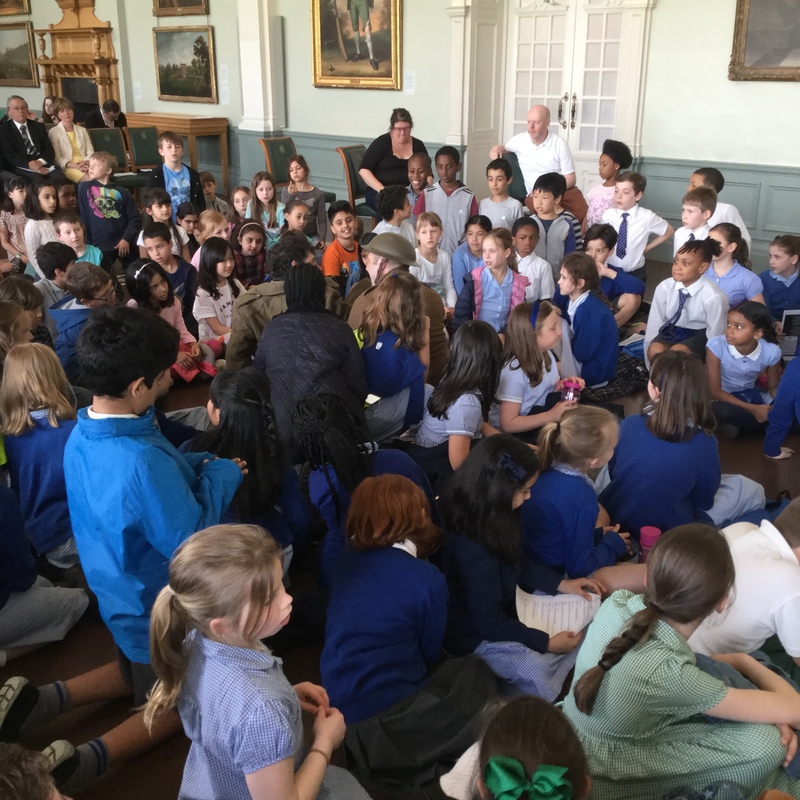 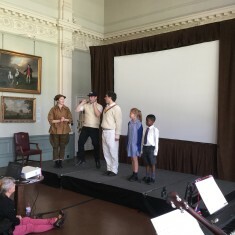 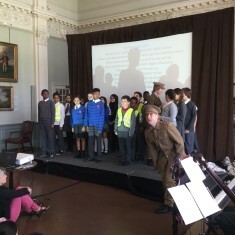 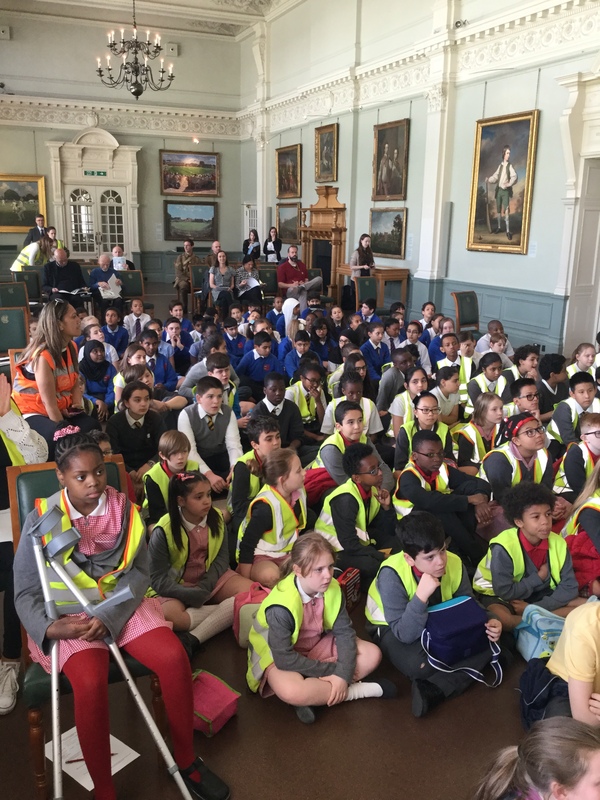 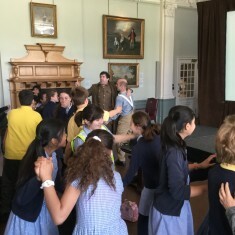 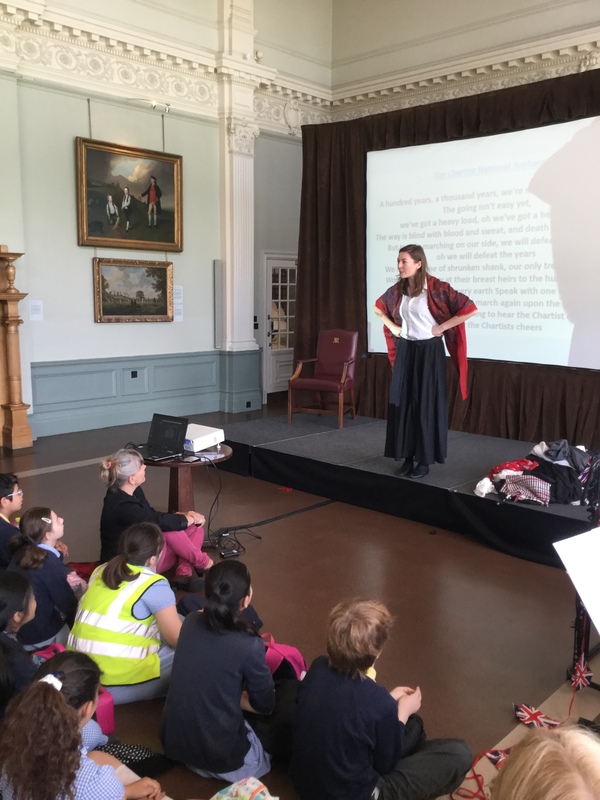 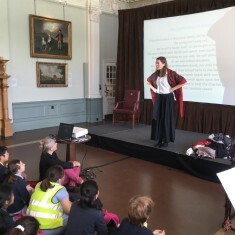 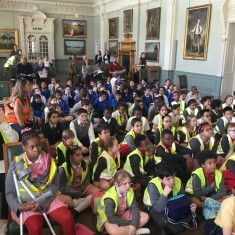 The play ‘A Candle for Booth’ was performed by MOD Productions in the Lord’s Long Room for the school children involved with the Play in a Day project. 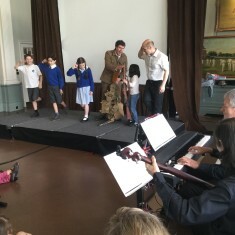 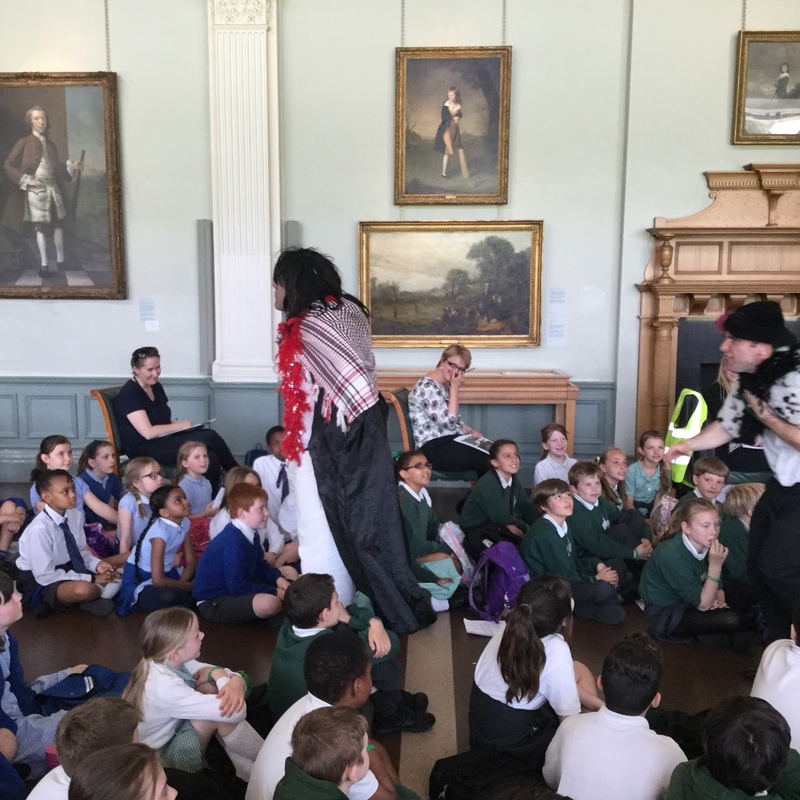 Here, they saw the performance which told the story of Major Booth and included a lot of audience participation which was thoroughly enjoyed by children from local primary schools. 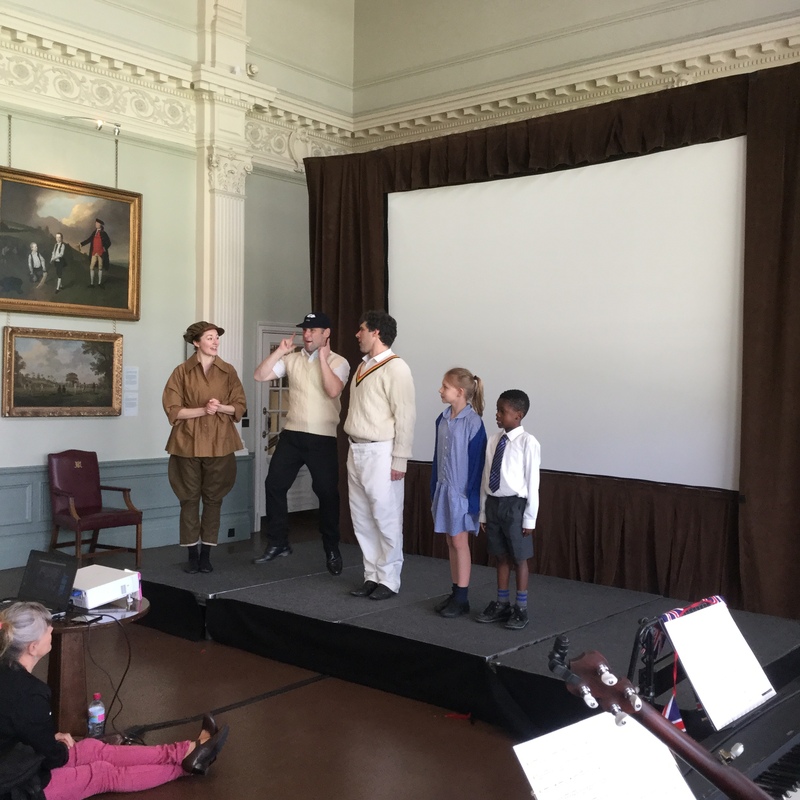 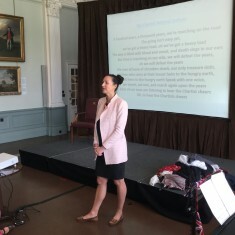 This was a historic event as it was the first time a play has been performed in the Long Room at Lord’s. Interestingly, women weren’t allowed in this room until 1999 which links well to the presence of the Suffragettes’ campaign in the play. 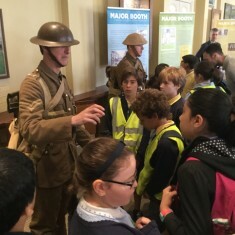 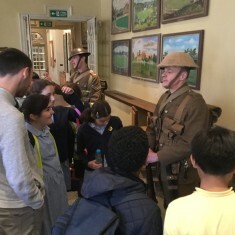 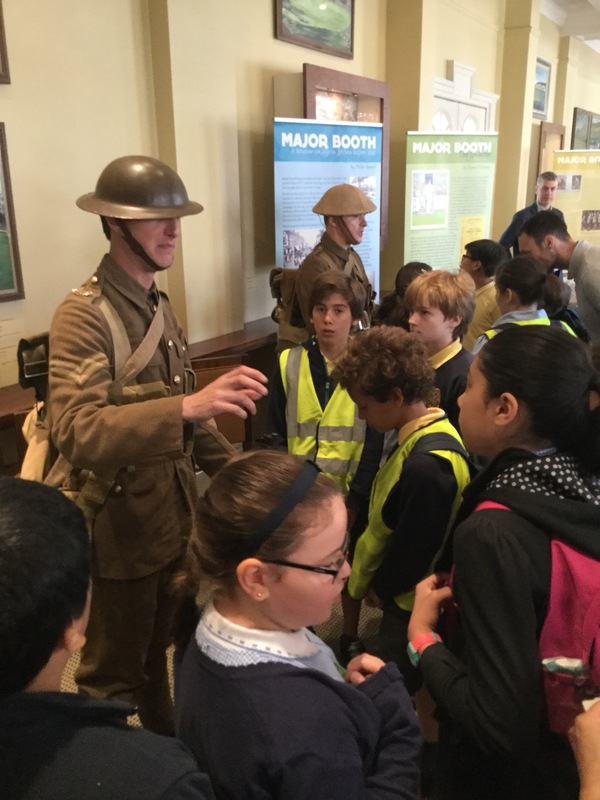 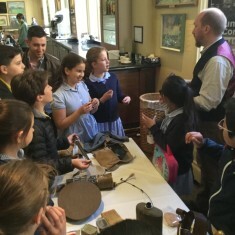 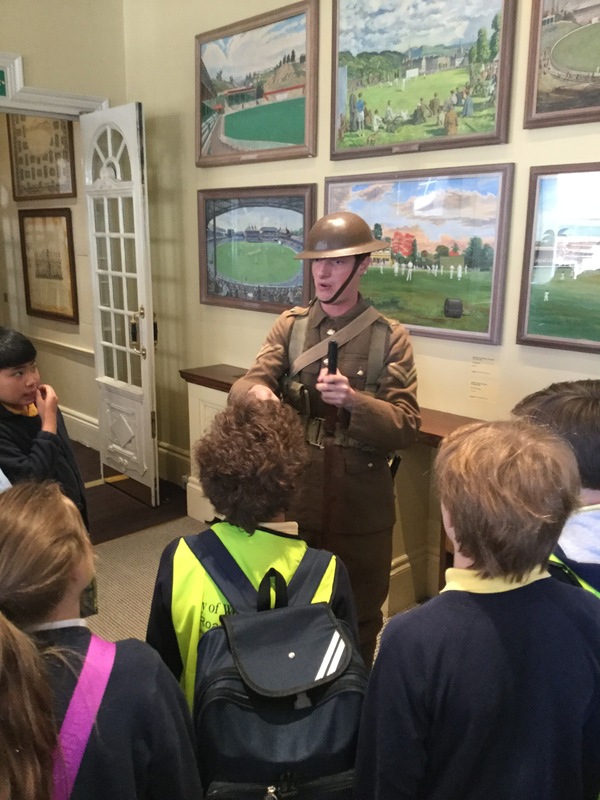 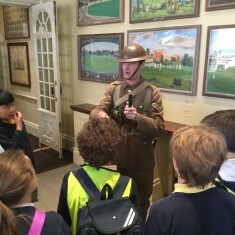 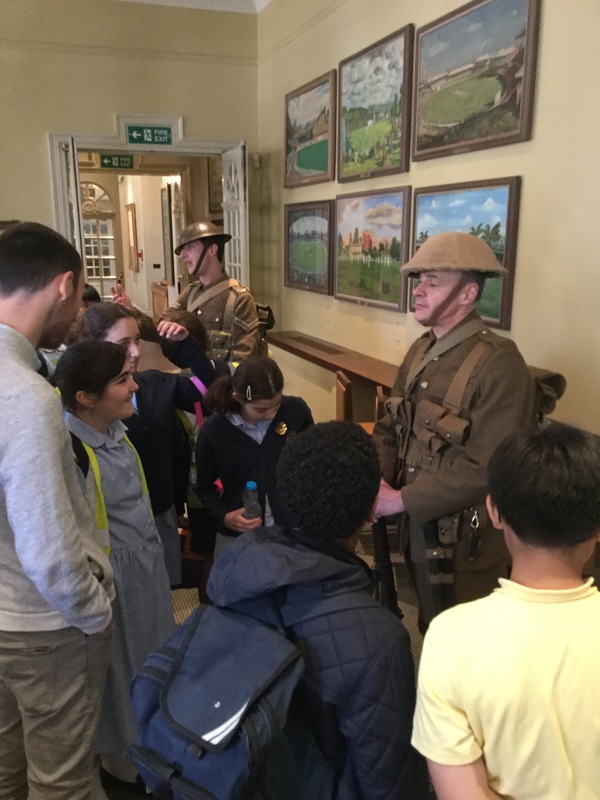 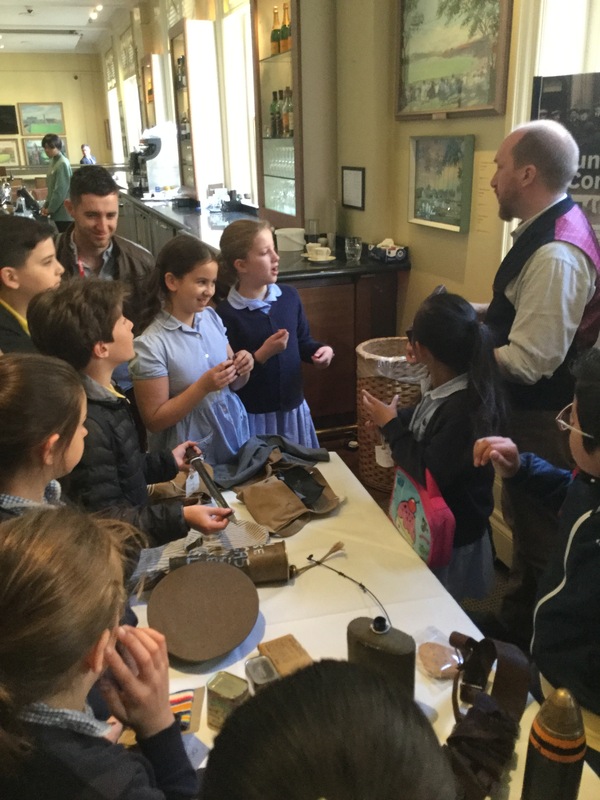 Beforehand, as the schools arrived, they were met with WW1 Soldiers who spoke to them about life in trenches and visited a table where they could view different WW1 artefacts. 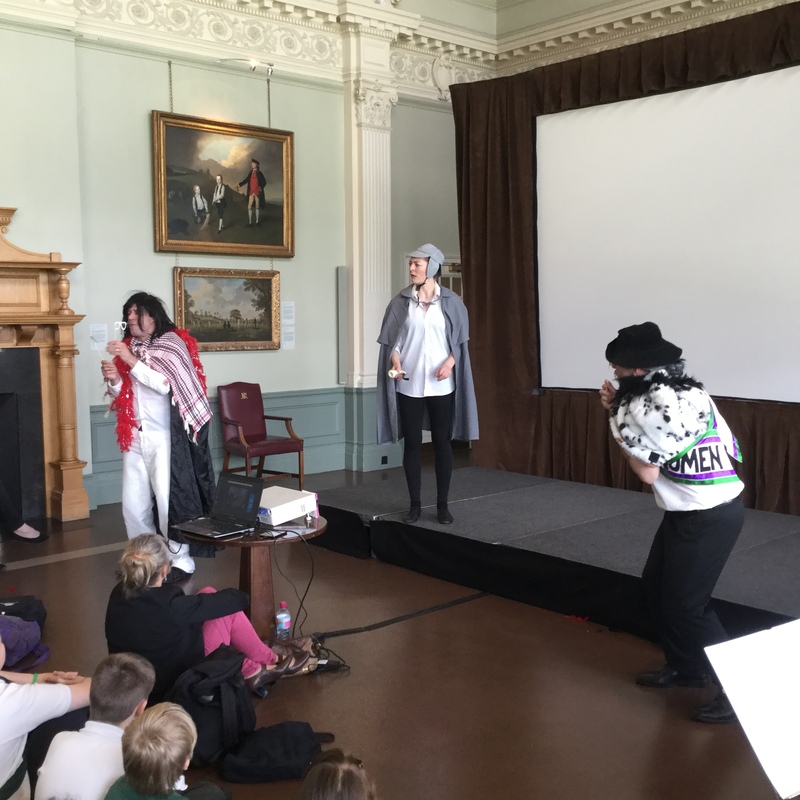 The play was unanimously enjoyed by all who attended and a consistent point of praise was the amount of engagement with the audience throughout and its ability to make learning fun. The Lord Mayor of Westminster also visited and watched the play during its second performance. 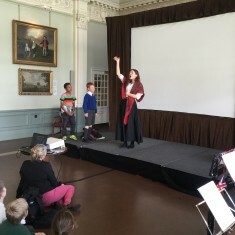 A "Suffragette" demands "Votes for Women!"